Although today is National Read a Book Day, there are many reasons you should consider reading every day. In fact, reading may positively impact your finances. Here’s how. A number of studies show reading can positively impact your life. In fact, reading about a subject for just one hour a day will make you a national authority in just five years. Within seven years, you can be one of the best people in your field of study. Furthermore, scientists have also found that people who read more are more likely to earn more than individuals who don’t. Individuals who read 10 or more books outside of an educational setting were found to make 21% more than those who didn’t read or read much less. 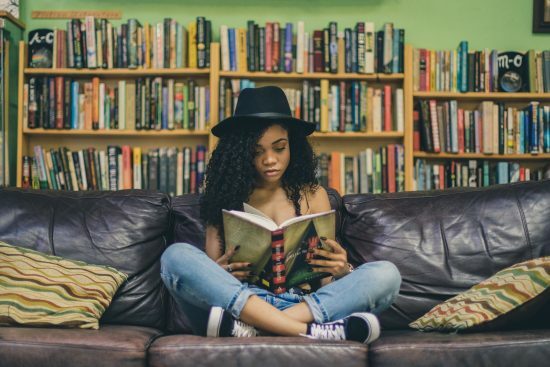 If a 21% increase in earnings isn’t enough to make you want to make every day “Read a Book Day,” here are a few more benefits to consider. 1. People who read live longer. According to a study conducted at Yale, people over 50 who read at least 30 minutes a day lived an average of 23 months longer than individuals who didn’t read or read only magazines. Researchers came to the conclusion that this is because reading books creates cognitive engagement. It can also impact empathy and emotional intelligence, leading to a longer life. 2. Successful people are readers. As mentioned above, people who read more earn more. However, it has also been proven that readers are also generally successful. This is because many of the most successful people out there are keen on improving themselves and read to do just that. 3. Reading more can lead you to be more open-minded. A University of Toronto study found people who read short-story fiction have less need for cognitive closure compared to those who preferred nonfiction essays. This means, overall, they were more open-minded than essay-readers. Although nonfiction reading can help you master a subject over time, fiction can help you expand emotionally. If financial freedom is your ultimate goal, you can search for personal finance books that may help expand your knowledge and how-to. Here are a few books to consider adding to your reading list. Why Didn’t They Teach Me This in School? : 99 Personal Money Management Principles to Live: This bestseller goes over all of the things you’ve thought to yourself, “why didn’t they teach me this in school?” It is a great gift for a recent high school or college graduate. If you’re looking to expand your personal finance knowledge, it is a great read for you too! The Millennial Money Fix: What You Need to Know About Budgeting, Debt, and Finding Financial Freedom: This book walks the reader through the steps you need to take to reach financial freedom in today’s world. The Total Money Makeover: Classic Edition: A Proven Plan for Financial Fitness: You can’t make a personal finance book list of recommendations without mentioning Dave Ramsey. The Total Money Makeover gives you the tools to pay off your debt and reach financial freedom. The Spender’s Guide to Debt-Free Living: How a Spending Fast Helped Me Get from Broke to Badass in Record Time: Becoming debt-free is no easy feat, especially if you’re a spender. This book will walk you through how to change your mindset and reach your goals of financial freedom. The Wisdom of Finance: Discovering Humanity in the World of Risk and Return: If you’re interested in learning how to invest, consider reading The Wisdom of Finance. It gives you a look at how to best manage risk and return in the market. Readers, have you ever read a book that changed your life for the better? Let us know in the comments!